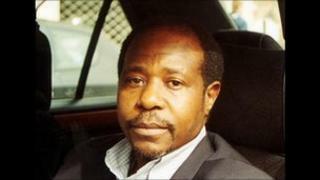 He accused Mr Rusesabagina, who now lives in exile, of acting together with the opposition leader, Victoire Ingabire. Ms Ingabire was arrested last week and accused of working with a terrorist group - a charge which she denies. "I'm not a man of violence... But anyone who opposes Kagame is treated with this kind of harassment." No formal charges have yet been filed against Mr Rusesabagina.